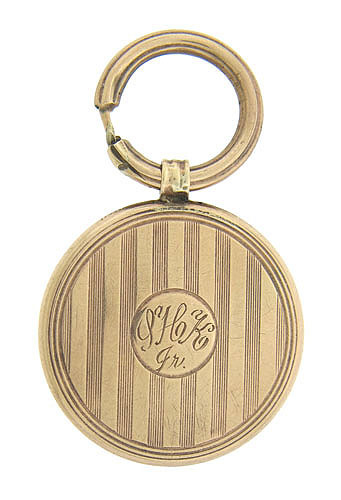 This elegant 14K yellow gold watch fob is engraved with elegant ribbons and a simple circle in the center features a monogrammed engraving LHK Jr. The back of this fob is polished smooth. 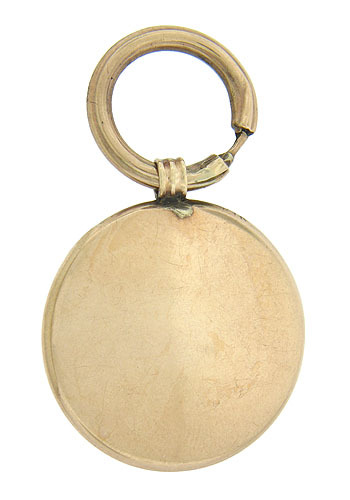 The piece measures 1" diameter, 1 3/4" long. Circa: 1920.